DogeCoin is a satire crypotocurrency based on the Doge meme. DogeCoin is similar to Bitcoin in that both are a form of electronic currency, but while Bitcoin caps out at 21 million coins, DogeCoins has a whopping 100 billion coin cap, with a b. There are a couple of different ways you can obtain some DogeCoin. You can either mine it, trade for it, beg someone to give you some, or use what is known as Faucets. Trading is as the name suggests, you can give something to receive a certain amount of DogeCoins. That can be anything from real-world money to items you possess. Faucets are sites that give 1 to 100 free DogeCoins. You can think of them as welfare for those exceptionally poor Doges. Mining is currently the best way to obtain DogeCoins. Anyone, anywhere can mine DogeCoins as long as they have an Internet connection and a computer. Though, your computer needs a relatively good-performing video card in order to mine a decent amount. The better your video card, the faster you will mine. 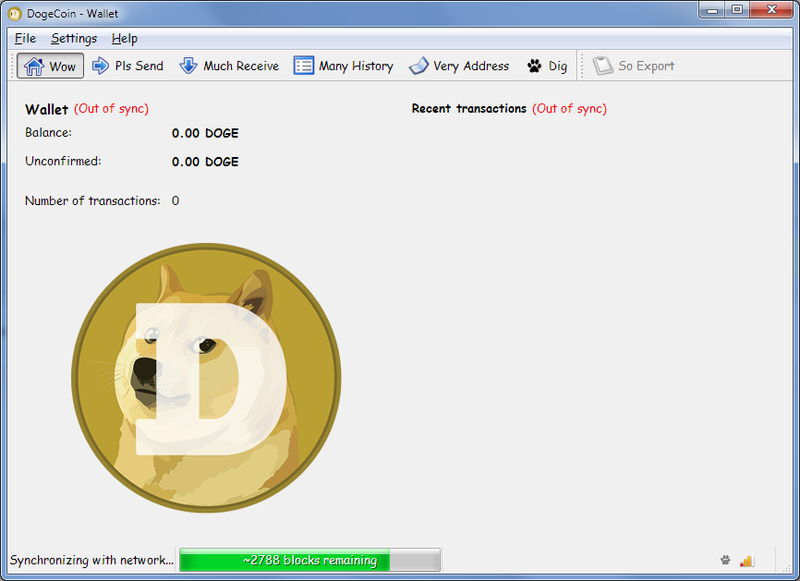 To get started with DogeCoin mining you will need a wallet to store your wealth. Download it from the official site. Open it and it will start downloading blockchains. Minimize it and continue on. Now you will need to choose a pool site and create an account. Here's a list of pools. Choose whichever you like and load the site. Create an account by clicking on the 'Sign up' link on the left hand side under 'Other'. After you've created the account you will need to create a worker so head over to the 'My Workers' link under 'My Account'. Name your worker anything and give them a secure password and after you're done click 'Add New Worker'. If you have an nVidia graphics card you will need to download cudaminer. 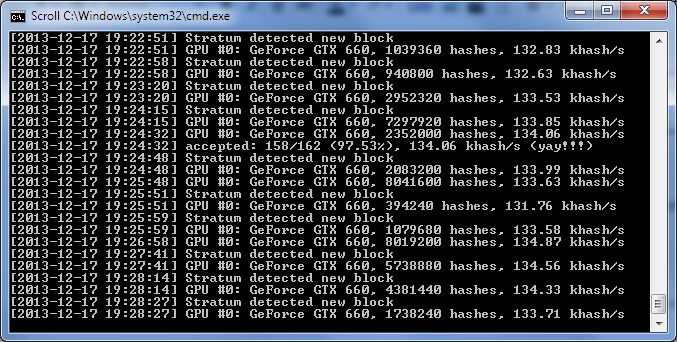 If you have an AMD graphics card then download cgminer. You will need to setup the mining software so that it points to your account and worker. To do this, first extract the mining software and open the folder. If you have a 32-bit OS then open the x86 folder otherwise open the x64 folder if you have a 64-bit OS. For Cgminer you don't need to worry about if your operating system is 32-bits or 64-bits. Both Cudaminer and Cgminer require the domain and port number the pool is using so open the pool you chose previously and click on 'Getting Started' in the left sidebar. It should list the port and domain of the site. Simply copy and paste the domain into the text file as well as the port number. For the username type in the username you chose to create the account on that pool site. The workername and workerpassword is the worker's information that you created in the previous steps. Make sure you delete the <> brackets, but do not touch anything else. Open the file and it should start mining DogeCoins. After digging(mining) all those DogeCoins you deserve a paycheck, but how do you get one? It's easy, you can either request a cash out or you can setup an automatic payment system which pays you when you acquire a certain threshold. Open your pool's website and click on 'Edit Account'. Open your DogeCoin wallet and click on the 'Much Receive' tab and you should have one address listed there. Right click it, click Edit and name it something that will let you know it's from the pool you've chosen and click OK. Now, right click it and click copy address. Paste the address in the 'Payment Address' and save changes. It should now list your payment address in the cash out address text box. You can use the cash out area to send DogeCoins to your wallet. It will take a few minutes to process but once it's done you should see a recent transaction appear in your wallet. I have intel graphics, so I'm screwed! wait guys can you help when I try running it i get --scrypt is unrecognised?